Join us for cafe Pellicola Live: our live online interviews as we “virtually” meet for coffee with special guests: ranging from filmmakers, festivals’ artistic directors to Italian Studies cinema scholars. Enjoy a lively discussion to set you on an Italian cinema journey discovering new trends, festival programs, new as well as classic films that still make a difference. And what’s more attendees from around the globe get to ask questions. How? Simple, you can participate by tweeting your questions to #cafePellicolaLive prior to the event as well as submitting questions during the live session with the Q&A feature. 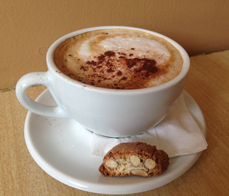 Interested in participating as a guest at cafe Pellicola Live? Great! Simply complete our Guest Form. Watch our past cafe Pellicola Live replays here.